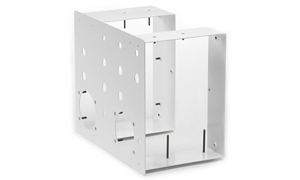 Chassis & Covers | Quality Sheet Metal Inc.
1/8″ aluminum clamshell chassis. Polane T Plus beige textured finish. Medical application. 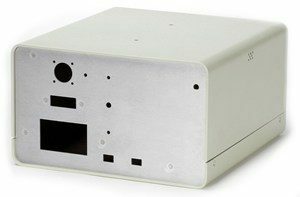 3″ x 5″ x 2″ black anodized chassis with silkscreening. Assembled at QSM. Communication use. Spot welded steel assembly. White powder coat finish. PEM fasteners installed at QSM. Medical respirator chassis. 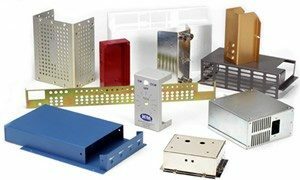 Miscellaneous small chassis, covers and telecom parts.